In many cultures, particularly in Europe during the days of arranged marriages, brides came with dowries or gifts symbolizing fidelity, fertility and prosperity. Theoretically, fathers gave dowries to help provide for their daughters, but dowries also served as an incentive for suitors. In other cases, like in most of Africa, it was customary for a man to pay his wife’s family in livestock and other goods as compensation for the loss of her labor. Now, families merely exchange gifts in gratitude, as thank-you gifts for making their loved ones happy. 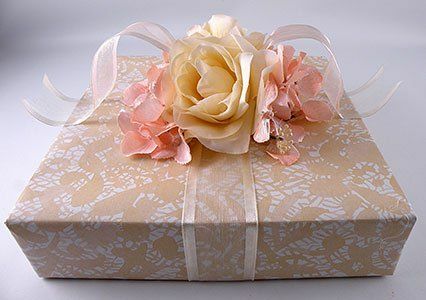 This evolved into today's tradition of giving bridal shower and wedding gifts chosen from a bridal registry where the couple list items needed to complete their new home together.